There are a number of people who only go to a dental clinic Balcatta when they experience severe pain or trauma. However, that should not be the case. Each individual must go to a dentist regularly and not just to see an emergency Dentist in Balcatta WA. Adults and children must go to a dental clinic Balcatta WA at least once in a 6 month period. During your visit, your dentist would check your teeth to see if there are cavities. Dentists would also need to perform a dental cleaning on a regular basis. During the dental cleaning, the dentist will remove plaque and stains that you cannot remove when you are using a regular toothbrush. Other dentists can even provide preventive care by putting sealants on the chewing surfaces of a child’s permanent tooth. Another reason why people go to the dentist is when they need an emergency dentist in Balcatta WA. One of the most severe dental emergencies is when you have a tooth knocked out. When you experience this, it is important to keep the knocked out tooth moist. You can either try to put the tooth back or place your tooth in milk. After doing that, you must go and see a dentist right away. Other reasons why people seek the help of an emergency dentist in Balcatta WA is when they crack their tooth or have a broken jaw. For both concerns, you can place cold compress on the affected area to minimise the swelling. The most common reason why people visit a dental clinic Balcatta is when they have a toothache. When a person has a toothache, it is important to get in touch with a dentist right away and schedule an appointment. Do not try to put it off since the problem may get worse over time. Today, cosmetic dentistry has become really popular. A lot of people would go see a cosmetic dentist in Balcatta WA to have a perfect smile. Some people may not know that cosmetic dentist in Balcatta WA not only whiten teeth, but they have a wide-array of different services as well. If you feel conscious about the shape of your teeth, they can reshape it for you. They are also capable of restoring damaged teeth. 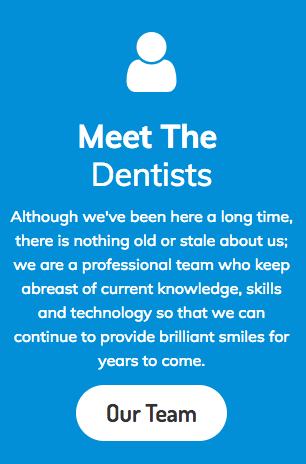 These are just a few of the reasons why people visit their dentists. It can be for serious issues or they may just want to improve their smile. If you are unsure if you need dental attention, you can call your dentist’s office right away and inform them about your concern. Or you may want to find out more on how to improve your smile; you can visit your cosmetic dentist in Balcatta WA to give you an idea on the services that can be done to improve your pearly whites.